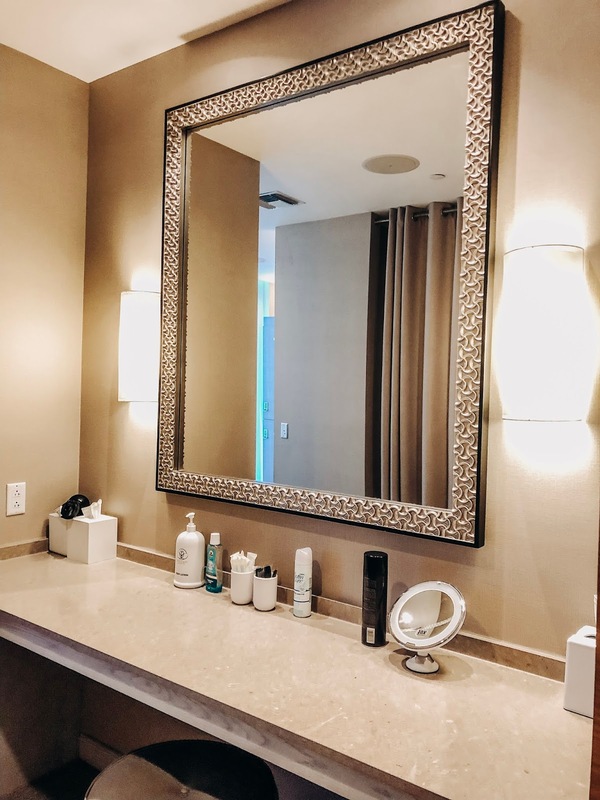 On Friday, January 25th, I treated my mom to a special spa day at the Clearwater Beach Spa inside the Wyndham Grand Resort. For her birthday, I contacted the spa manager and scheduled appointments for us both to receive luxury spa pedicures. The entire spa is also accommodating if you plan on spending the entire day there relaxing, brunching, and working out. These amenities are what make the Pallavi Luxury Spa the ultimate destination for a Mother/Daughter retreat. Let's dive into exactly how our day went, shall we? One of the perks to enjoying a spa day at the Clearwater Beach Spa is the valet parking. Driving around Clearwater Beach can be difficult because it's so populated with locals and tourists. When you stay at the Clearwater Beach Resort or Spa, you can have your car valet parked for the entire day for $25. This is a great deal so you don't have to worry about paying a meter to park your car nearby. The valet staff are super kind and took care of my mom's car as soon as we pulled into the front of the resort. Of course, when you schedule an appointment at the spa, you can have your ticket stamped and the valet charge is waived. 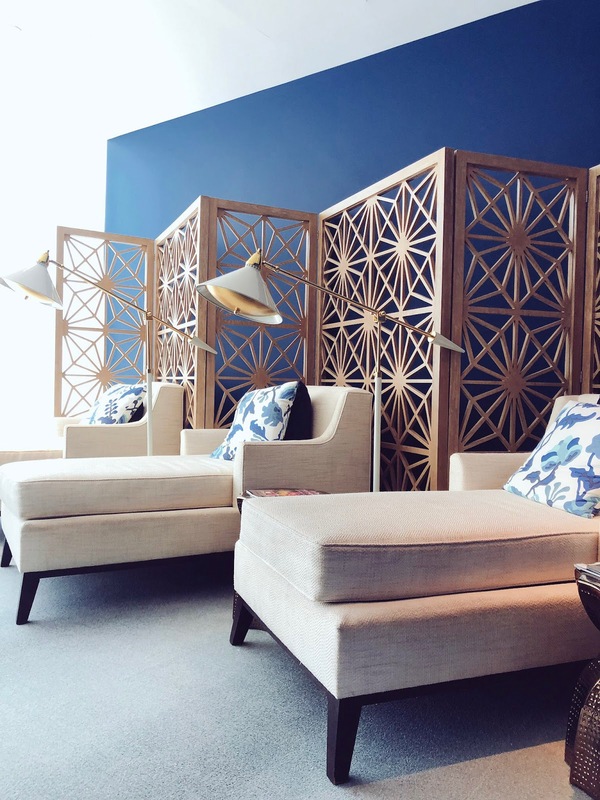 If you are interested in completing your Wyndham Grand getaway with a spa treatment, there are plenty to choose from. From salt breathing treatments to massages, you can treat yourself to a relaxing experience to restore balance to your health. The Hydra facials are also excellent for removing toxins from your skin. You can see an instant glow to your skin once the tool extracts the build-up from underneath your face. When my Mom and I first entered the Pallavi Spa, we wore our workout clothes. The fitness center has all of the best equipment for you to spent a few hours working out. The view from the fitness center overlooks Clearwater Beach. What better way to work out than by staring out at the ocean? You can also see the pool deck and the restaurant while you work out in the fitness center. Both of us grabbed huge glasses of water and started to work out for about an hour. I haven't worked out in quite some time, but I felt so rejuvenated when I got back on the stair climber to feel my legs and booty burn in the best way. After working out, the next place my mom and I went was the steam room. The spa features a nice steam room where we put on our robes and took long deep breaths for about 20 minutes. It was a lovely time for the two of us to be without our phones, too. My mom and I are both huge workaholics, and I loved how we could just spend time together without distractions. Her favorite part about the spa is the steam room. She stayed in the steam room longer than I did! They pump in some eucalyptus smells so you can take a few moments to enjoy the scent of the room as you find a place to sit. This might sound strange, but my favorite part of the spa is the shower! The shower has stainless steel jets that shoot water out from all angles. You can customize your shower from temperature down to where the jets are positioned. You truly have the ultimate shower experience! I put the shower on a very high temperature and I will usually shampoo and condition my hair with the Pallavi products they offer inside the shower. Once our showers were complete, my mom and I changed into our regular clothes. As for lunch, we didn't want to stray too far away from the hotel, so we opted to walk down to the Ocean Hai for a quick bite. Ocean Hai has beautiful views of the ocean. The Asian-fusion menu has appetizers, lunch specials, and drinks to please hungry travelers. Wyndham Grand Clearwater Beach has a few other great choices for meals by the pool, but we chose to sit inside and enjoy our lunch overlooking the water. We ate chicken teriyaki bento boxes with a side of potstickers. Our meals were served quickly and we devoured them right before heading back up for our pedicure appointments. Finally at around 2:00 we descended into the luxurious manicure and pedicure room with our spa robes on. My Mom and I chose girly pink shades for our pedicures. The two nail techs who gave us our pedicures were also so sweet and offered us mimosas as soon as we got comfortable sitting in the massage chairs. The mimosas were delicious and our massage chairs were absolutely necessary! Our appointments wrapped up in about an hour and then one of the nail techs was gracious enough to take a few photos of my Mom and me on the couch inside the spa room. If it was warmer outside my Mom and I planned on jumping into the pool and the hot tub, but we will just have to visit again in the summer for that! 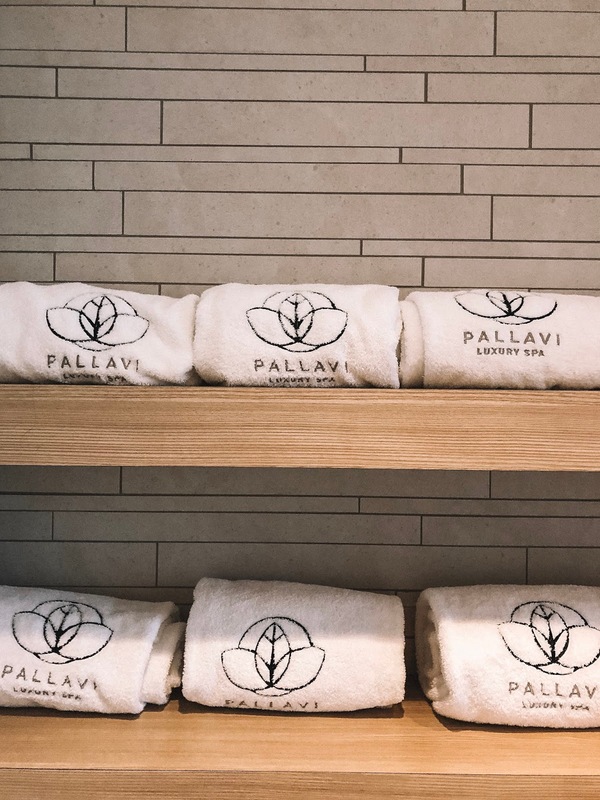 Special thank you to the Pallavi Luxury Spa for treating us to a spa day and for sponsoring this blog post! All opinions are my own. Thank you for supporting Affordable by Amanda.